With Trevino producing and playing on the album, her stepfather on pedal steel and Bobby Flores on fiddle, Music From The Honky Tonks served notice of a major new talent—and though it took a while to reach more than a few ears, it began to make the young singer a reputation. As country music historian John Morthland wrote in No Depression in early 2005, not long after she finally made the move to Texas, “if there’s a more promising hard-country singer on the horizon than Amber Digby, I’ve been kept in the dark.” By that summer, the album had garnered enough attention in Europe that she got called to go with Trevino and Flores to Sweden—the first of many overseas visits she’d make. Reuniting in the studio with Trevino, Amber released Here Come The Teardrops for Heart Of Texas Records in 2006, and traveled to Europe again—this time headlining her own tour—and by early 2007, she’d quit her day job, moved to the Houston area and, with the help of future husband Randy Lindley, had put together her own band to play the dance hall and club circuits that have nurtured so many Texas country artists. My Kind Of Country called the album “a sublime collection,” and its successor, Another Way To Live (produced by the same triumvirate) was equally well received—and this time, as reviewers noted, Amber was beginning to feature her own songs, three of which made the cut on the project, including her first Nashville co-write, “After It Breaks,” written with Dani Flowers. 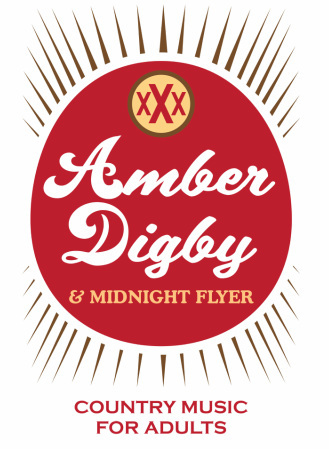 “I just blurted out the hook while we were driving down the road one day,” she says with a laugh, “and Randy said, ‘write that down!’” Before long, and with the encouragement of some highly-placed Nashville fans, Digby began making regular writing trips to Music City—one of which produced an unexpected result. As special as the connection with Gill is, though, it’s just one piece of an accelerating career that’s seen Amber recording with multi-platinum-selling Texas favorite Mark Chesnutt, releasing an album of duets with Trevino—“we’d always talked about it,” she notes, “and it’s done so well that we’re already talking about doing another”—and a live CD and DVD recorded at the historic Swiss Alp Hall, and making her first prolonged American tour outside of Texas in late 2011.